Are you looking for food that is friendly to your weight loss process? Every food has a different effect on the way we burn fat, hunger, and even our hormones. 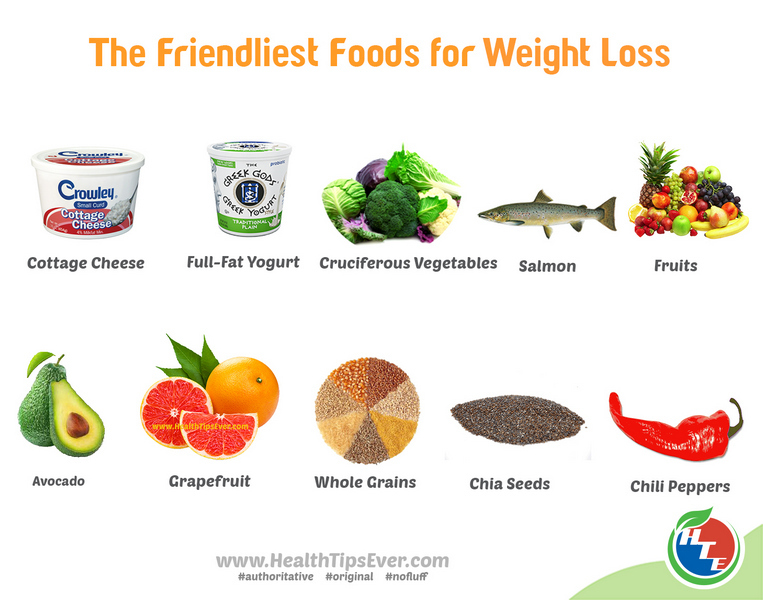 Here are 20 foods that are friendly to our health and weight loss. One of the best high in protein, dairy product is cottage cheese. We all know that it is very high in calcium, but it is also very satiating, which gives you the pleasure of feeling full with a few calories. A very delicious and probiotic dairy product, yogurt, can help in the protection of inflammation and also leptin resistance. When choosing yogurt, just make sure that you grab hold of full- fat yogurt as opposes to low- fat yogurt. The chances of obesity and type 2 diabetes are substantially decreased when choosing full- fat yogurt. This group is full of fiber and is incredibly low in calories and carbohydrates. A pro with eating these leafy greens is that you can double on servings without doubling on the calories! They include calcium, which in some studies have shown that can be helpful in burning fat. These leafy greens are also fabulously nutritious and extremely high in various types of vitamins, minerals, and our free radical fighting friend’s antioxidants. This family is made up of broccoli, cabbage, cauliflower, and Brussels sprouts. Like other veggies, they are incredibly high in fiber and help to keep you fulfilled. What is even better is that they contain a respectable amount of protein. They don’t take the place of the amount of protein that is in animal foods, but are higher compared to other vegetables. These highly nutritious foods help fight against cancer and are perfect to include in meals for weight loss. Boiled potatoes are the highest in satiety, which helps you feel full and consume less food, and are also high in potassium, which is an essential nutrient that helps control your blood pressure. Unfortunately, people don’t get enough of potassium. They contain a variety of nutrients and provide several properties that are perfect for losing weight and overall health. Salmon is an oily fish which makes it that much healthier. It contains a few calories and keeps you full for hours. Sounds like the perfect meal for weight loss. Salmon is full of all sorts of nutrients and high in protein. This fish and mainly all seafood contain a high amount of iodine which helps with the function of the thyroid. We all widely knew that salmon is full of Omega-3 fatty acids that can certainly help with reducing inflammation, obesity, and metabolic disease. Like salmon, tuna is luckily high in protein and low on calories. Tuna is considered to be lean fish, so there isn’t much fat. If you want to build up on protein, make sure to purchase tuna canned in water as oppose to oil. Studies have shown that people who indulge in more fruit tend to be healthier and vibrant than those who don’t. These are one of the perfect friends for weight loss. Yes, fruits contain sugar, but their energy density is low, and the fiber helps delay the sugar from being released into the bloodstream. People on a low carb diet should decrease their intake with fruits, but other than that, fruits are friendly for weight loss. The unique fruit. Most fruits are high in calories, but the avocado is bursting with healthy fats. Just like olive oil, avocados are high in monounsaturated oleic acid. This friendly food contains a lot of water, so they’re not just mostly fats. They contain fiber and potassium, and are the perfect addition to salads because the fats they contain increase the nutrient uptake from our other friendly food, vegetables. Direct studies had shown that eating half a grapefruit before meals caused a significant weight loss of 3.5 pounds during a period of twelve weeks. This can help you eat fewer calories by helping you feel satiated. The grapefruit is also helpful in reducing various chronic diseases. Studies have shown that chili peppers help with reducing appetite and increasing in fat burning because this spicy food contains a substance called capsaicin. Another perfect friend for weight loss. Although there was no effect in reducing appetite and burning fat for people who grew a tolerance in eating spicy foods, it did help in people who weren’t accustomed to eating peppers. So, just eating 1 gram of peppers will help in reducing appetite and burning fat. So as we all know, low energy density meals help with eating fewer calories. Low energy density foods contain a lot of water. An excellent way to feel more satiated and to consume fewer calories is just simply to add water! Perfect for weight loss. Let’s not throw meat in our “non- diet foods” bin. Although meat has been blamed for causing various health problems, unprocessed red meat has been shown that it doesn’t raise the risk of diabetes or heart disease. This friendly food is high in protein, which we know is a fulfilling nutrient. This high protein diet can help you burn up to 100 calories a day! Lean meats are perfect for a moderate to high carbohydrate diet. Intake your protein 25- 30% to cut your cravings 60%, and to lose almost one pound each week. The best whole grains are the non- gluten, full of fiber, right amount of protein kind of whole grains. This is the inclusion of oats, quinoa, and brown rice. They are known to improve metabolic health, especially oats. Be aware of the refined grains that can be harmful to your health and fattening. Avoid grains for low- carb diets, because they’re loaded with carbohydrates. Just go for the healthier grains on this kind of diet. The perfect food for snacking. This delicious snack can help in improving metabolic health and are another perfect food for weight loss. If you strive to be healthier and leaner, than snacking on nuts is a great way to go. They are a perfect balance of fiber, protein, and healthy fats. Just make sure to overindulge, because they are high in calories. Apple cider vinegar is not just popular as a condiment; it is also popular for losing weight. You can eat 200- 275 fewer calories a day if you include this with a high carb meal. Studies have shown that you can lose 2.6- 3.7 pounds during a twelve week period if you eat 15 or 30ml a day. These high in protein and healthy fats food can help you lose weight.A study showed that women eating whole eggs for breakfast instead of bagels made them fuller and ate less for the next 36 hours. Most of the nutrients are in the yolk, and it helps you get all the nutrients needed on a calorie restricted diet. These foods are also high in protein and fiber, which we all know are nutrients that lead to satiety. They also contain resistant starch. This group includes black beans, kidney beans, lentils, and a few others. The most nutritious foods there are. With 12 grams of carbohydrate per ounce, 11 of the grams are fiber. One of the best foods in fiber and also low in carbs. Studies have found that they can help in reducing appetite, but not necessarily in affecting weight loss, but with their great nutrient composition, chia seeds are a great addition to be a part of weight loss. This high in fatty acid oil has been shown to increase satiety and increase burned calories. There are studied that have shown that coconut oil decreases the amount of belly fat. Just don’t add coconut oil on top of your meals, but replace it with other oils when cooking. Now you have some knowledge on a tremendous amount of friendly foods can help start you on the right track in becoming healthier, leaner, and full of life. So start growing a bond with these friendly foods! Casandra Cano from Artesia, USA is a part- time freelance writer striving to produce authentic and accurate articles within the health and medical niche, where she is most experienced in writing dieting content and healthy lifestyle tips. How to use a Metered dose Asthma Inhaler with a Spacer? How does Smoking Produce COPD?